I found this field of bluebonnets last March at Washington on the Brazos State Park with this sign in the middle of them. The bluebonnets were everywhere and as beautiful as I have ever seen them. 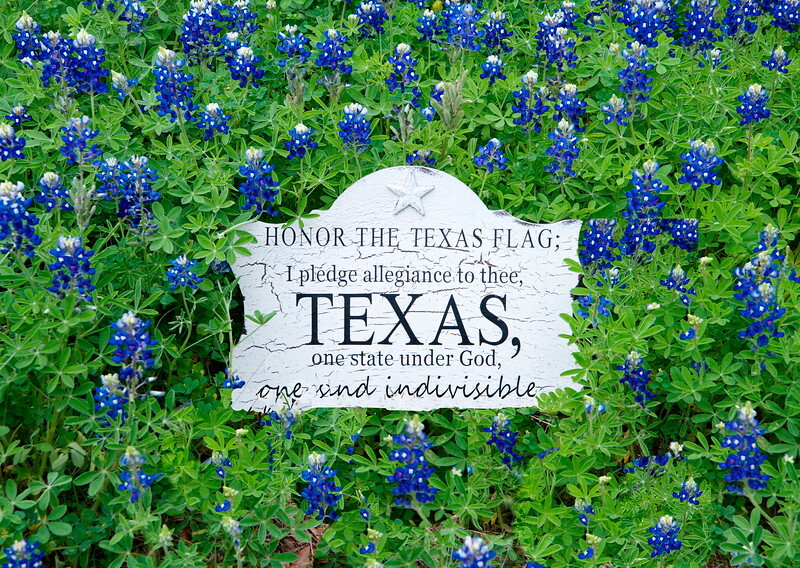 I am looking forward with eager anticipation to this coming March and the return of this state flower of Texas! Great marriage of iconic Texas wildflowers and a sign displaying local pride. Beautiful bluebonnets or course, and a great sign for Texas pride. This should be a poster advertising the state's charms! What a great shot! I can hardly wait for the bluebonnets to come back this Spring. Love, love, love the sign! Wonderful find and capture. Great shot of the BB, and I love the touch of Texas. The bluebonnet display in Texas is justifiably famous; great capture of the famous blooms! Lovely capture, would make a beautiful postcard.